The poverty and the hunger of the war period forced a widow mother to give her children in 1942 so as to grow up humanly and with the less possible deprivations. Helen grew up with a relative family in Thessaloniki and George through the Red Cross was given to the village Rizari of Pella. After the end of the civil war George returned to Thessaloniki. The tragic game of his fate was played fast. As a young man he failed in live with a young woman, Helen. Unsuspicious, both of them, they decided to unite their lives with a marriage. George introduced his fiancee to his mother. With surprise, she showed in the face of her son's fiancee her own daughter. The couple separated but the pain was big. 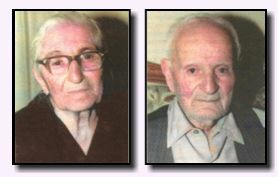 For many years Helen did not have any connection with her biological family. George, embittered, abandoned his mother and left for Athens. Families that were separated due to an adoption face the danger of these situations. People who do not know the relative blood that exists in their veins hazard to get married and have children. Who is going to protect the citizens of this country from that danger? Who is going to preserve the families that were once hit by the fate, the life and the people from being hit again? The crime is being eternized and the problem is getting bigger. And the authorized people raise their hands. They state disable of facing the problem. They state that they do not know the problem. They even come to the point to fight against the S.E.A.S.Y.P association, which is the only sensibilized association. The fears of the association for undesirable insects are big. The facts are undeniable, the fight is big but the will, the anger and the struggle of the association are bigger.